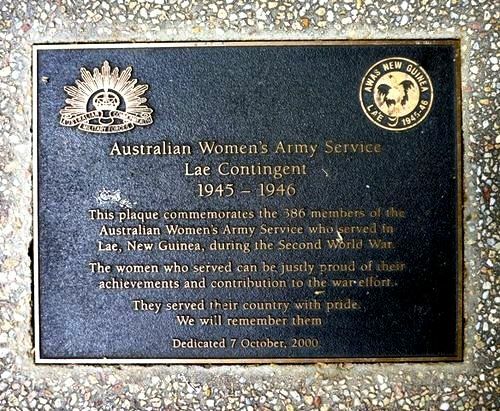 Plaque commemorates the personnel who served in the Australian Women`s Army Service Lae Contingent 1945 - 1946. Lae, New Guinea, during the Second World War. achievements and contribution to the war effort. They served their country with pride.